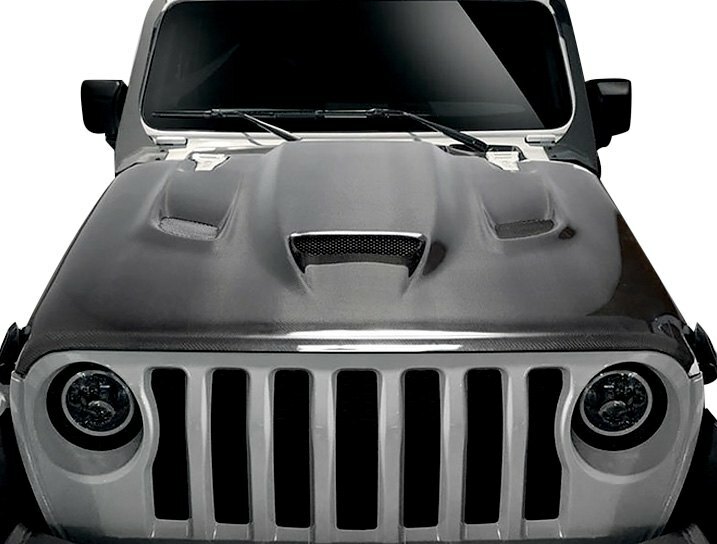 Enhance the front of your Jeep with Carbon Creations Hellcat Style Hood! If you’re really into serious off-roading and mighty Jeeps, yet would love to go a bit wild with your project and add a couple of Hellcat style elements on your Wrangler, consider about our all-new Hellcat Style Carbon Fiber Hood by Carbon Creations. It is manufactured for all Hellcat style enthusiasts out there and will provide your Jeep with one of a kind, truly unique appearance. A carbon fiber hood is not something that we see on the Jeeps that often, because the weight savings is not really the thing in the world of the off-road modifications. Despite this fact, the guys over at Carbon Creations decided to give it a shot and release a fully custom CF hood for the JK models. Visit this site to read more about Carbon Creations Hood for Jeep Wrangler.